Sounds of the Deep SouthMusic fans who descended on Twickenham's Eel Pie Island in the early 1960s witnessed a new style of music so deeply influenced by the sounds of the American Deep South that the area was to become known affectionately as "the Thames Valley cotton fields". The musicians who performed at the island's Hotel had fallen in love with the blues of the Mississippi River delta, and their music was to become as successful internationally as the Merseybeat sound of The Beatles. One of these highly influential groups was The Yardbirds, who took their name from a reference by the beat novelist, Jack Kerouac. Two of the group's founding members, drummer Jim McCarty and bassist Paul Samwell-Smith, who was born in Twickenham, met while attending Hampton Grammar School. 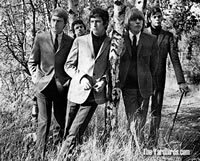 Later they formed The Yardbirds from two groups performing in the Kingston area, and gave their inaugural performance, supporting Cyril Davies, on Eel Pie Island in 1963. McCarty recalls "We got a gig playing with Cyril Davis at Eel Pie Island. We didn't have a name or anything, we were just playing twelve bar blues. Then when we'd finished playing Cyril Davis said, 'that was a great set, thank you, and what was the name of the band?' Keith (Relf) said to him, it was The Yardbirds. That was the first time I had heard the name!" In addition to McCarty, Samwell-Smith and singer Keith Relf, the line-up who performed on the island consisted of rhythm guitarist Chris Dreja and lead guitarist Anthony 'Top' Topham, who was replaced in late 1963 by Eric Clapton. With the much admired guitar-playing of Clapton, the group was to score such chart-topping hits as For Your Love, and to be invited on a major tour with the legendary blues performer Sonny Boy Williamson. Although Clapton eventually left the group to pursue a more traditional style of blues, he was to return to Eel Pie Island to perform with John Mayall's Bluesbreakers in the spring of 1966. 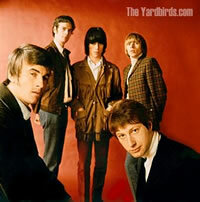 The Yardbirds' ability to nurture the talent of ground-breaking guitarists continued even after Clapton's departure. His replacement, Jeff Beck, was to appear on a number of memorable recordings, including the hits Shapes of Things and Heart Full of Soul. Beck was renowned for his bold experimentation with electronic feedback and distortion, a keystone of the psychedelic sound of the era. His early performances at Eel Pie Island were legendary. David Bowie was later to write "I probably hadn't been so gung-ho about any guitar player since seeing Jeff Beck in the early '60s with his band The Tridents at Eel Pie Island, London. He was so complete, so vital and inventive with the form." When Paul Samwell-Smith left The Yardbirds to pursue a successful career as a record producer (most notably guiding Cat Stevens to a string of best-selling albums), he was replaced by yet another innovative guitarist, Jimmy Page. Page's tenure with The Yardbirds was to last until the group disbanded in 1968, after which he formed The New Yardbirds to settle the group's outstanding touring arrangements. This group was to evolve within the year into Led Zeppelin, one of the most successful and influential British rock bands of the age. In appreciation of their lasting contribution to popular music, The Yardbirds were inducted into the Rock and Roll Hall of Fame in 1990. More recently, founding members Jim McCarty and Chris Dreja reformed the group and released a new album, Birdland, in 2003. This was followed by successful tours of England and the USA, and the group is planning further engagements in Europe and Japan. Interview with Jim McCarty by Dave Owen, Opening Out Renaissance Newsletter, Issue 20. The Faber Companion to 20th-Century Popular Music, by Phil Hardy and Dave Laing (Faber & Faber, 1990). Full information on The Yardbirds yesterday and today.